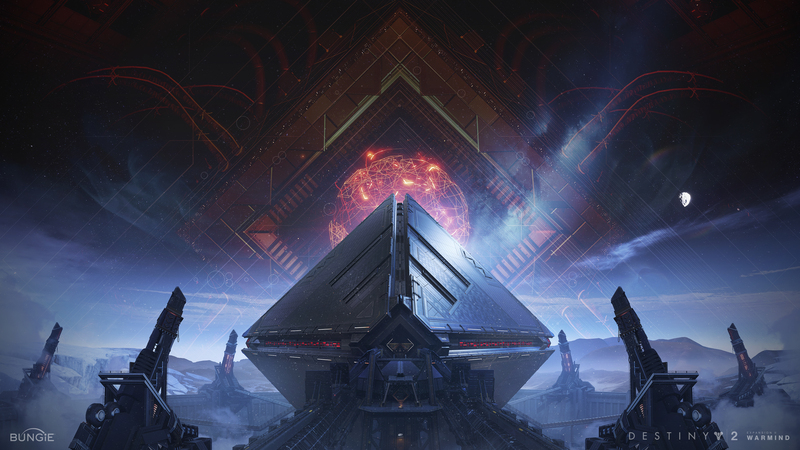 We have a new version of the Destiny 2 Development Roadmap. Take a look at what's coming in Season 3 through the summer, all way up to the beginning of Season 4. You can read more developer commentary in the full Roadmap post. One thing we're changing up at the beginning of Season 3 is how your Power level will affect the enemies you face. As you tackle a new campaign and start taking on activities above your current Power level, you may find that the villains you face put up more of a fight. Here is Combatants Design Lead Tomonori Kinoshita to give you some details on the changes we're making. I'd like to let you know of an upcoming PvE difficulty tuning pass that should be hitting your consoles and PCs along with the beginning of Season 3. Change our outgoing player damage scaling vs. higher-leveled combatants to be steeper (make them more difficult), similar to Destiny. As a result, higher-leveled combatants will take longer to kill than they currently do—but if you're at or above their level, you can still melt them (like you've come to love) with Update 1.1.4. When combatants are 50 Power levels or higher above the player, they will be immune and display a "??" icon on their nameplate. OG Guardians probably remember the first time they stumbled across the Hive in the depths of Cosmodrome. We wanted to bring back that feeling of mystery and provide challenges for the player to come back to later in their journey. Change combatant energy shields to fulfill the following: Matching energy element damage to shields is most effective (roughly 3x damage plus the current shield detonation), followed by non-matching energy (roughly 2x damage), and Kinetic damage won't have any bonus damage multiplier. To further incentivize the matching game, the 3x multiplier for matching damage types is not affected by the damage scaling of higher-leveled combatants until the combatants display the "??" nameplates. We look forward to watching the community show off their PvE skills after these new settings go live. Show us what you're made of, Guardians. We've seen the Destiny community do some pretty amazing things to have a positive impact on the real world. Guardians never shy away from lending a helping hand. We're rallying the banners again for a couple of great causes. Over the next month, Bungie will go head-to-head against other local businesses to raise money for two great organizations. To prove that men don't have exclusive rights to kilts, Bungie Foundation Manager Christine Edwards has your call to action. Christine: Bungie is celebrating its 7th anniversary of supporting families at the Seattle Ronald McDonald House through their annual Men in Kilts fundraiser! As you all know, 7 is a big deal for us, so we're planning on going all out this year with a giant goal of raising $77,000. Help us achieve our goal and cast your vote for Team Bungie by donating $10 or more. Every $30 donated will pay for a family to stay at the House for one night. Head to the RMHC Donation Page to cast your votes by Friday, April 27! Art will be delivered via email attachment to donors in early-mid June. $500—All prizes above, plus a physical print shipped to you of Mark's exclusive art. This year marks our 5th anniversary of the Gauntlet Tabletop Fundraiser. On Sunday, May 20, Team Bungie will compete in a tournament against 20 other local gaming studios and tabletop aficionados to raise funds for Wellspring Family Services. They're a local organization that has been working to build emotionally healthy, self-sufficient families and a nonviolent community for over 120 years. Your donations help them reach that goal and embolden our team with Power-Ups that will help us win the tournament. Head to our team's Donation Page to commit your support on or before May 20! Debating between donating to Men in Kilts or the Gauntlet? Once you see these backer rewards, you'll want to donate to both! $100—The prize above, plus a "programmer art" caricature of you—we can't guarantee it'll be good, but it will be funny! You and up to 12 of your friends will be invited to participate against other donors who've contributed over $1000. Date and time subject to Bungie and donor availability. Last week, we discovered a late-breaking bug that was going to cause issues with the upcoming 6v6 Iron Banner. We decided to postpone the event and replace it with Rumble. We have resolved the issue with 6v6 Iron Banner, and it will be going live at 10 AM PDT on April 17. The details posted in last week's TWAB are still true for the upcoming Iron Banner. Sorry for the last-minute schedule changes. We look forward to watching players participate in 6v6 action for the first time in Destiny 2. We will be on hand to gather your feedback. Make Lord Saladin proud. In Destiny 2 on PC, players who encounter issues with installed game files should try running the Scan and Repair tool in the Battle.net app. In some cases, players may repeatedly receive an error directing them to use the Scan and Repair tool, but the tool reports "no problems found." For more information, players should see: Scan and Repair in the Battle.net App. It's time for the movies. Grab your popcorn and candy of choice, and please take a seat. Before we get to the main attraction, I'm going to give a quick explanation of how this works. Players send in their submissions via the creations page. We pick our favorites. Anyone showcased here gets an emblem. Just please make sure you include your player name in the description of the video so we know who to give them to. Here are last week's top scores for the Nightfall. This one was close, with only a 281 point difference between first and second place. Our next update is only a month away. We'll have more info to share with you before then. Keep an eye on this blog as well as our upcoming stream on April 24.